Skylights are perfect for adding height to a ceiling; they can make a small cramped room seem 10′ larger and 100 times more inviting. 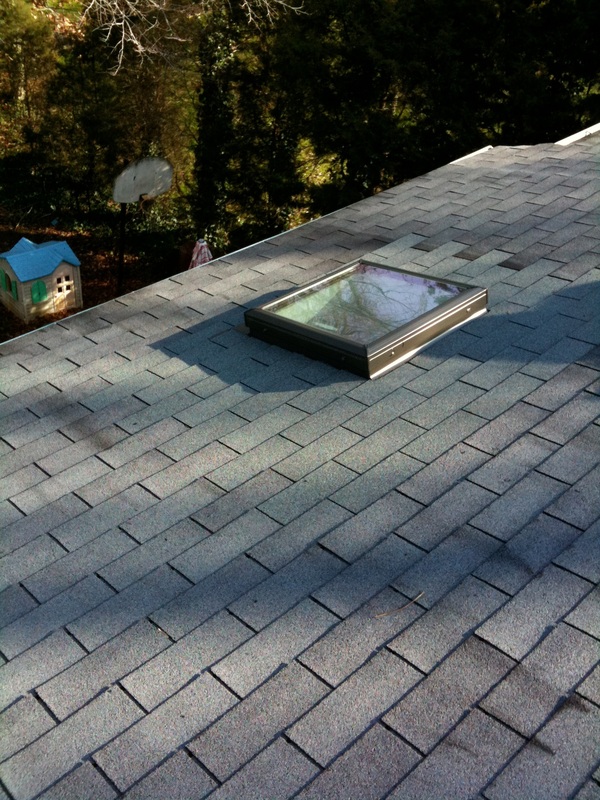 However, skylights are one of the most commonly mistreated items on the roof. The picture below shows how a remodeling contractor installed a new skylight; instead of using proper and time proven techniques he smeared tar wherever he could. His work lasted about six months before the first leak occurred. 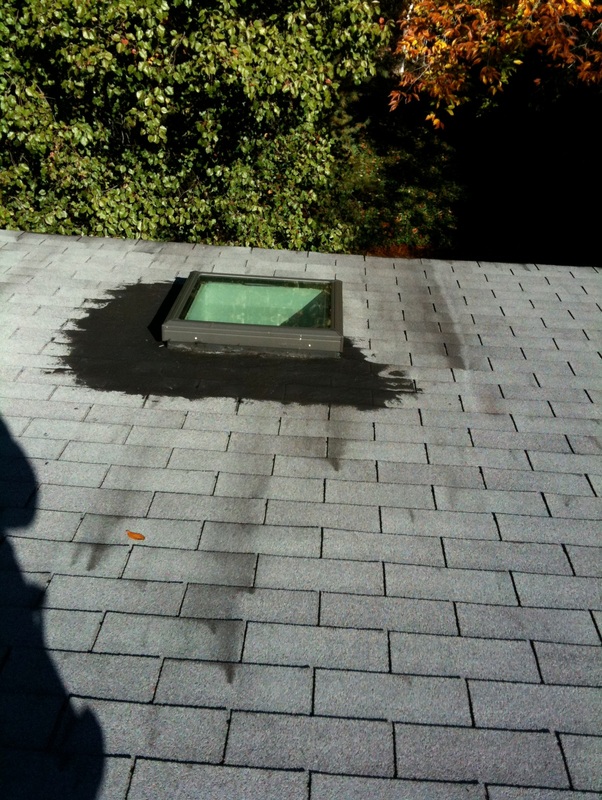 After; I repaired the skylight with new aluminum flashings and replaced all of the tar contaminated shingles. The roof looks better, the skylight doesn’t leak and my metal flashings will keep on doing their job for as long as the roof shingles will last. Flashing and waterproofing skylights isn’t difficult if you have the skill and the tools, I’ve installed at least 600 skylights in the past 14 years; none have leaked yet. Avoid anyone who says they can stop your leak with caulk or roof cement; it won’t last.